Lynn’s Animal Rescue is a small loving organization with a very hands on approach. We do everything in our power to bring the ill back to good health, socialize the shy and timid and find the perfect home for every cat. We will keep them until we do, even if it means forever. Where do our cats come from? Many rescues pull from high rate kill shelters. We, on the other hand, try to help them before they are brought to a shelter. The majority of our animals are found strays, owner surrenders or were lost or abandoned. We also are helping with a few hoarder situations and feral colonies. We are involved in humane trapping, aiding in humane trapping and educating potential adoptive parents and families in the proper ways to care for their current and newly adopted pets. We make sure all of our rescues are vetted, healthy, happy and properly suited for their new home. 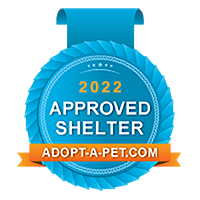 We build lasting and forever relationships with our adopters and have life-time placement for all of our adopted animals so that they will never end up without a place to go or in a dangerous situation. Although we can’t save the world by ourselves, we can do our part by taking care of our portion of it: by doing for the animals in need what they can’t do for themselves; providing safe haven, educating, promoting awareness and continuing the cause in the Southern New Jersey. We want to share our knowledge and expertise with others. We want to offer any guidance we can provide, aid others seeking knowledge and promote animal rescue by working together with others. Due to our hands on approach we cannot adopt out our animals to people who live too far from us because of our need to provide any follow up care that may be needed. Please understand and respect our decision to limit adoptions only to folks who live less than two hours away and are able to drive to pick up your cat/kitten or bring them back to us to be neutered or spayed if necessary. Thank you for understanding! We are strictly a 501(c)(3), non-profit organization. We do not get funding from the state because we do not euthanize. We rely 100% on the kindness and generosity of others. Help us help them ♥ See our “Help Us” Page for ways to donate. We are dedicated to finding homes for lost, stray, abandoned, owner surrendered animals – whoever needs a home – we will find them one. We run strictly on charitable contributions. We do not euthanize, therefore, we receive no funding from the state. We rely 100% on the kindness and generosity of others who share our belief that every animal deserves a kind and loving home. All of our animals are/will be vetted, spayed or neutered and current on shots. To the best of our knowledge they are healthy. In the case of our “Special Needs” guys, we will provide a full disclosure on their particular situations.